As a beauty obsessed girl, I am always on the lookout for products that can help to keep my skin looking and feeling beautiful! I was thrilled to be given the chance to review CBD Living products. I have been learning so much about the beauty benefits of CBD (Cannabidiol oil) lately. I have learned that one of the major benefits that CBD has to offer is that it curbs oxidant and cell degeneration. It's also a rich source of fatty acids and other nutrients that benefit your skin. Studies have shown it can improve reduced barrier function, improve hydration, minimize moisture loss, and decrease inflammation. This is why it is such a great ingredient to use in anti- aging products. CBD based products are a safe, natural way to enhance your beauty and eliminate skin problems. It also helps with pain relief. So how does CBD Living stand out from other companies who use CBD in their products? The secret to their superior products lies in their use of nanotechnology, a unique manufacturing process that reduces CBD molecules into nano-sized droplets, without the addition of emulsifiers. The nanotechnology process allows for CBD to absorb into the body more efficiently. This proprietary technology increases the efficacy of the CBD by increasing its bioavailability up to 90 percent, delivering CBD directly to the CB1 and CB2 receptors of the body’s endocannabinoid system. 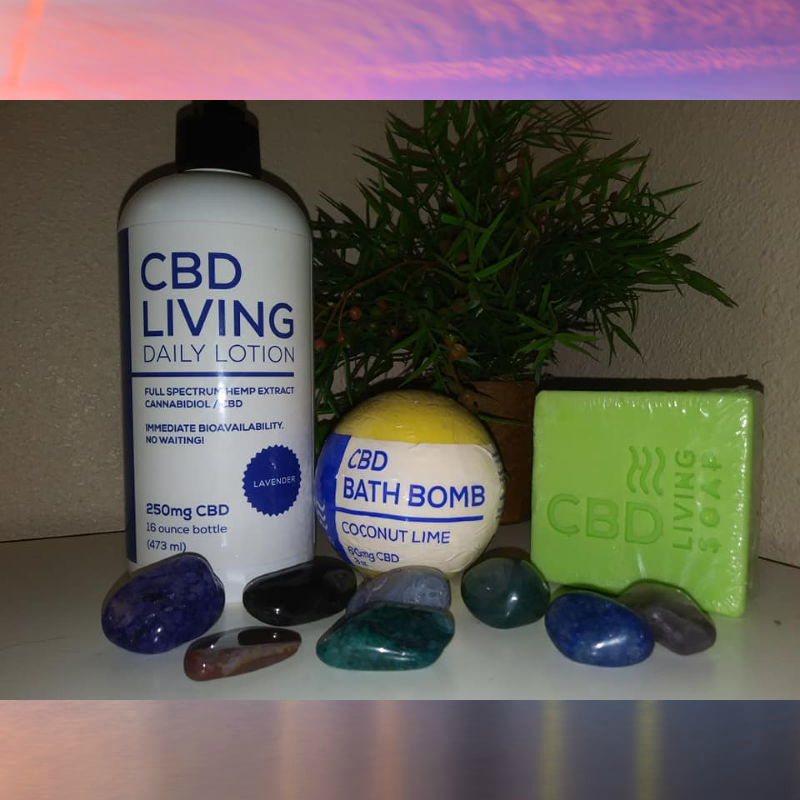 CBD Living sent to me samples of their amazing brand-new CBD Living Lotion, a bar of CBD Living Soap and one of their most popular products, a CBD Living Bath Bomb. New CBD Living Lotion comes in three scents: Invigorating eucalyptus, relaxing lavender and unscented for those with sensitive skin. A 16 oz bottle contains 250 mg of nano-CBD, created from 100% organic hemp grown in Colorado, and is vegan and cruelty-free. I love the relaxing lavender lotion. I have been applying it from head to to as my after shower body moisturizer every evening before bed. Since I usually suffer from body aches and pains every night during my sleep, I thought about how CBD might be helpful in reducing some of my aches and pains that I get in my hips. I also have been experiencing insomnia and was hoping this lotion may help me to sleep. 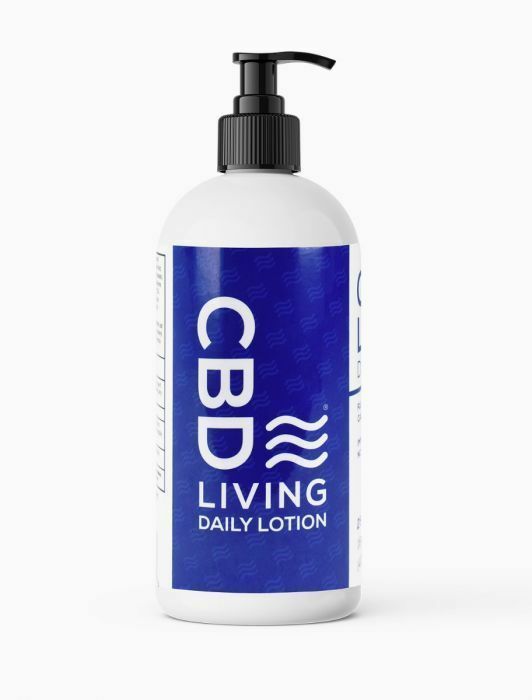 After using my CBD Living Lotion for about two weeks, I have found it to not only be the perfect body moisturizer, but therapeutic as well. Is it the soothing lavender fragrance that has been helping me to sleep more soundly, or is it the CBD in the product? My aches and pains are lessened as well. I am truly amazed! 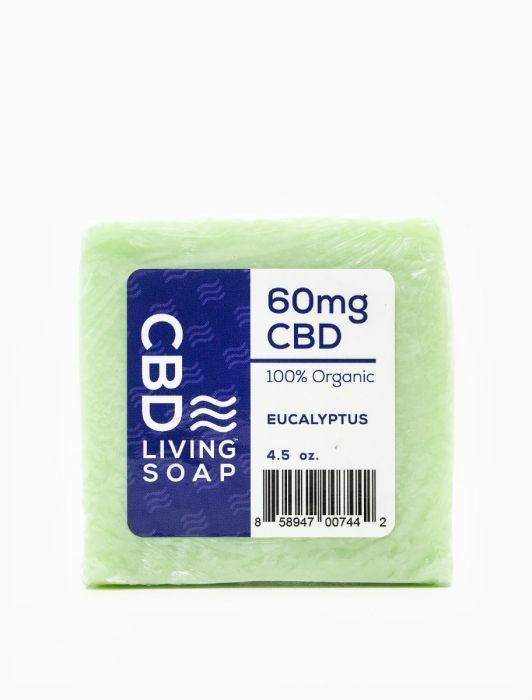 I have been enjoying the luxurious lather from my CBD Living Soap with each of my evening showers.The combination of CBD and Eucalyptus is a powerful pair, and it is perfect. The Eucalyptus fragrance invigorates my senses, yet soothes my soul for a comfortable night's sleep. Eucalyptus helps to reduce the symptoms of coughs and colds and is used in many pain-relieving ointments and creams. As I have said before, I have definitely noticed a reduction in my nightly aches and pains. This soap is very moisturizing and perfect for shaving my legs. This soap is made from 100% natural ingredients and coconut oil and is infused with nano-CBD for easy absorption. The CBD Living Bath Bomb is bomb! I received the Coconut Lime fragrance. Each CBD Coconut Lime Bath Bomb contains 60mg of nano-CBD for maximum absorption. It was pure bliss to soak in my tub along with the aromatic and soothing benefits of this skin softening treat. That bath was one of the most luxurious I have ever enjoyed! I slept soundly all night long afterwards, and woke up the next morning feeling refreshed and ready to take on the world. Summer is here and many people are working out harder than ever. Getting fit sometimes results in aches and pains and reaching for OTC pills is not always the healthiest solution. Doctors agree that topical OTC analgesic products, in the form of creams, gels, sprays and patches, are a healthier solution for pain management. “Acetaminophen has a narrow therapeutic window, meaning the difference between a safe and effective dose and an overdose, which could led to liver toxicity, is a relatively small increment in milligram consumption,” says Dr. Aristotle Economou, author and acclaimed Beverly Hills physician. “Topical pain relievers such as creams, gels and sprays work locally and large reduce, although they do not entirely eliminate the systemic risk, that OTC pain pills can present. The Salonpas Pain Relief Patch is the first and only topical non-steroidal anti-inflammatories (NSADs) approved through the FDA’s rigorous New Drug Application process which is the same process used to approve prescription medicines." By putting the medicine right at the site of pain, by passing the stomach and liver, Salonpas can use less medicine to deliver an effective dose. Salonpas has a wonderful variety of products that are designed to provide relief from aches, pains and muscle strains of every kind. Salonpas's product line includes the following: Lidocaine Plus Pain Relieving Cream, Salonpas® Lidocaine Plus Pain Relieving Liquid,Salonpas® Lidocaine Pain Relieving Gel-Patch, Salonpas® Pain Relieving Patch, Salonpas® DEEP RelievingGel, Salonpas® Pain Relief Patch, Salonpas® Pain Relieving Gel-Patch Hot, and Salonpas® Pain Relieving Jet Spray. How? It's easy! Enter to win using the Giveaway form below. Good luck! Have you registered to receive your free SALONPAS® patch yet? We invite you to receive a free sample of the SALONPAS® Pain Relieving Patch. Please visit www.salonpassamples.com to register for your sample. Hurry...as free samples only available while supplies last! The high-quality hemp oil-based body and personal care line, Sacred Mind & Body, introduces two topical pain relief products designed to soothe common aches and pains, including joint discomfort, sports injuries, and skin rashes, using only natural ingredients. The brand’s Pain Relief Lotion and Pain Relief Balm leverage ingredients such as Hemp Oil, Ginger Root-Infused Oil, and Turmeric in a luxurious skin-penetrating formula designed to ease soreness, cramping, and aches without the need for chemicals or potentially irritating ingredients like menthol. But don’t trip out over its use of hemp oil: the products are completely non-psychoactive. Pain Relief Lotion by Sacred Mind & Body is a hemp-enhanced lotion rich with Violet Leaf-Infused Olive Oil and therapeutic essential oils, such as Myrrh, Frankincense, Tumeric, and Ginger. The silk-like lotion not only nourishes skin, but also penetrates deeper to ease irritation, inflammation, and aches. 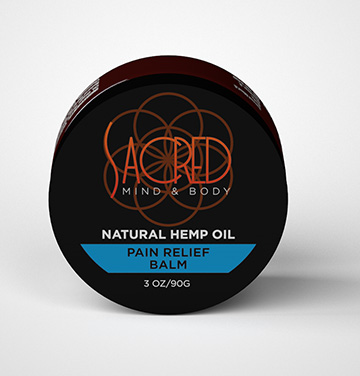 Pain Relief Balm by Sacred Mind & Body is an entirely natural and carefully balanced hemp cream that can be used to treat stiff and aching muscles. An anti-inflammatory blend of Tumeric, Chamomile, Lavender, Ginger, and Frankincense essential oils are combined with other natural soothers, such as Violet Leaf-Infused Olive Oil, Ginger Root-Infused Oil, Meadowfoam Seed Oil, and of course, Natural Hemp Oil. The kicker: both products retail for under $20. From soothing tired feet to easing back pain to nurturing sore muscles after a high-intensity workout, the new Pain Relief Lotion and Pain Relief Balm from Sacred Mind & Body are serving up self-care the way nature intended. Sacred Mind & Body introduces a premium line of hemp oil-based body and personal care products designed to heal, nurture, and relieve using Mother Nature's purest ingredients. Mindfully crafted formulas leverage the naturally healing properties found in hemp seed oil and essential oils to stimulate circulation, promote cellular regeneration, reduce inflammation, relax sore muscles, and coax toxins out of the body. Products range from topical pain relievers to relaxing salt soaks to personal lubricants and massage oils. 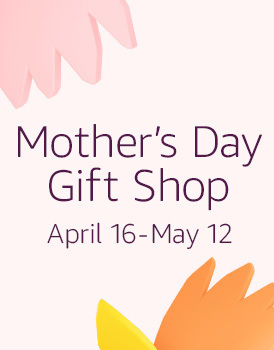 As part of its mission to promote peace and health in others, Sacred Mind & Body donates 10 percent of all proceeds toward breast cancer research. I wish I had known about the benefits of amber teething necklaces when my own babies were teething. I went through a lot of baby tylenol, and I feel so guilty putting chemicals into my sweet babies rather than trying a natural remedy. Oh well, I cannot change the past, but I can learn from it. My sister is a hug fan of amber teething necklaces, and her favorite brand so far is Baltic Essentials. Her six-month old daughter, Ivy, is teething right now and this miraculous necklace has been a saving grace for both baby and mother. 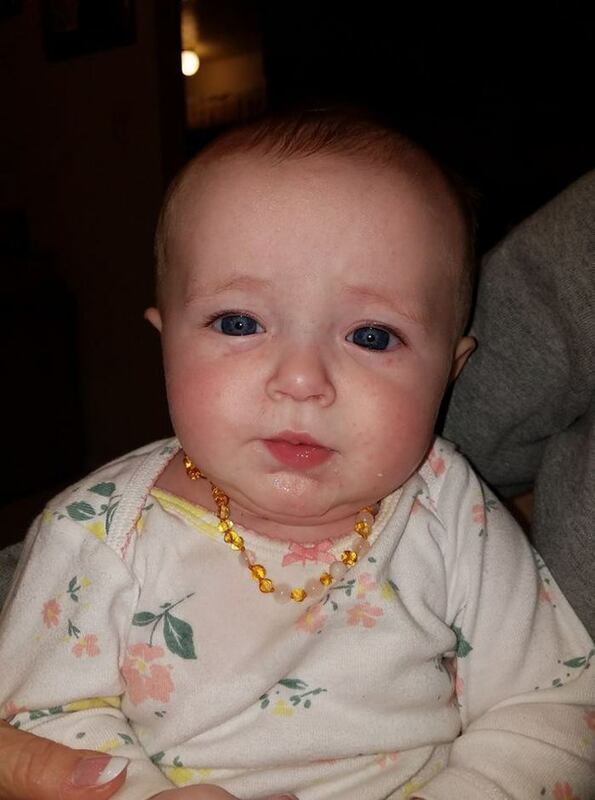 In the photo above, baby Ivy is sporting a Baltic Amber polished lemon Pink Rose Quartz teething necklace. Each baltic amber bead contains succinate acid which has been used for centuries for inflammation. The amber gently warms with the body temperature when worn as a necklace or bracelet on baby, child, or adult. The oils are released and absorbed into the body for a healing effect. 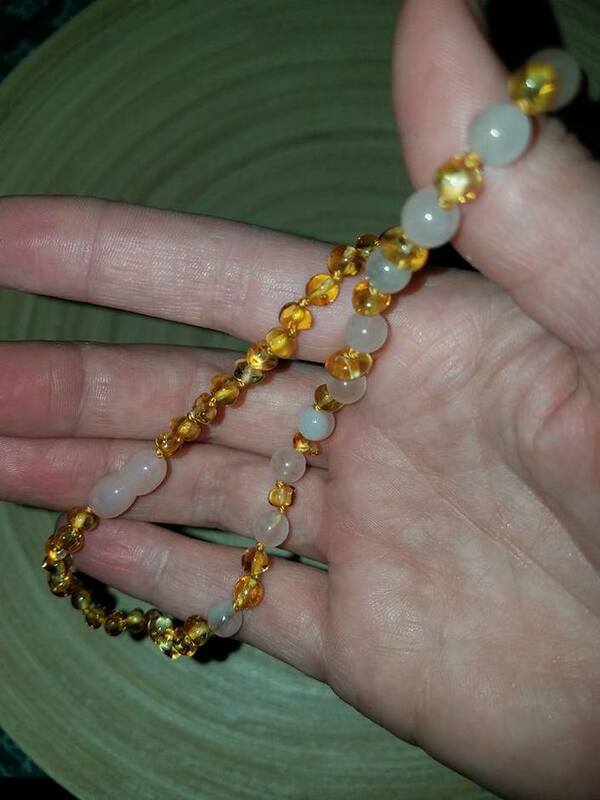 This beautiful Baltic Amber necklace is made for babies and toddlers. It helps sooth inflammation, reduces teething symptoms, fever, fussiness, red cheeks, drooling, insomnia, and more. Baltic Amber also contains immune boosting properties. Baltic Essentials necklaces are not meant to chew on, the Amber releases microscopic amounts of oil, as it warms with the body's natural temperature, that is absorbed into the skin and bloodstream. Baltic Amber contains succinic acid (anti-fever, anti-inflammatory), the compound that gives Baltic Amber necklaces the therapeutic quality. For children under 3, necklaces should be removed when unsupervised. Remove during bath and when swimming. Baltic amber is an organic substance, a “fossil resin” produced by pine trees which grew in Northern Europe. When Ivy first showed signs of teething (about 3 weeks ago) she was very cranky and cried so much. She is usually such a calm and happy baby. About a half an hour after my sister placed the necklace on Ivy's neck, she was content and smiling. I could not believe it! Baltic Essentials also has many other pieces that would make perfect and much appreciated holiday or anytime gifts for somebody special! I suffer from anxiety, and sometimes I am too overwhelmed to even grocery shop. 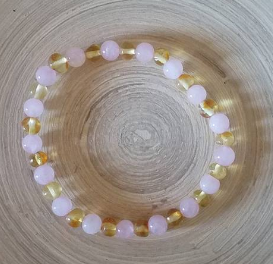 After reading upon the benefits of Baltic Essentials, I wanted to try out one of their bracelets, so I went with the Amber polished lemon Pink Rose Quartz since it worked so well for baby Ivy. Not only is this bracelet beautiful in itself, but it truly works. I am not sure how it works to calm my nerves, but it really does. Now, I won't even attempt to leave home without it. I only remove it for showering or swimming. I also really love this unique and fun statement necklace. 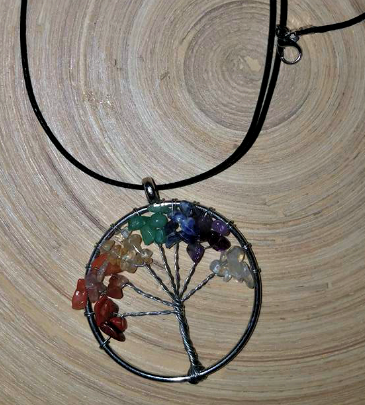 It is the Baltic Essentials Chakra Tree of Life Quartz Necklace. The stones in this mix include: rose quartz, red agate, orange aventurine, blue turquoise, blue lapis lazuli, purple amethyst. * Red Agate helps to calm the emotions. It cleanses the lymphatic system and the pancreas. Can be so helpful for dizziness, headaches and impaired balance. (Aries, Gemini, Scorpio, Capricorn, birthstones. March, April, May, June, October, November, January, February birth months) While the stones are pure, they are natural and from the earth and may vary in color or size. 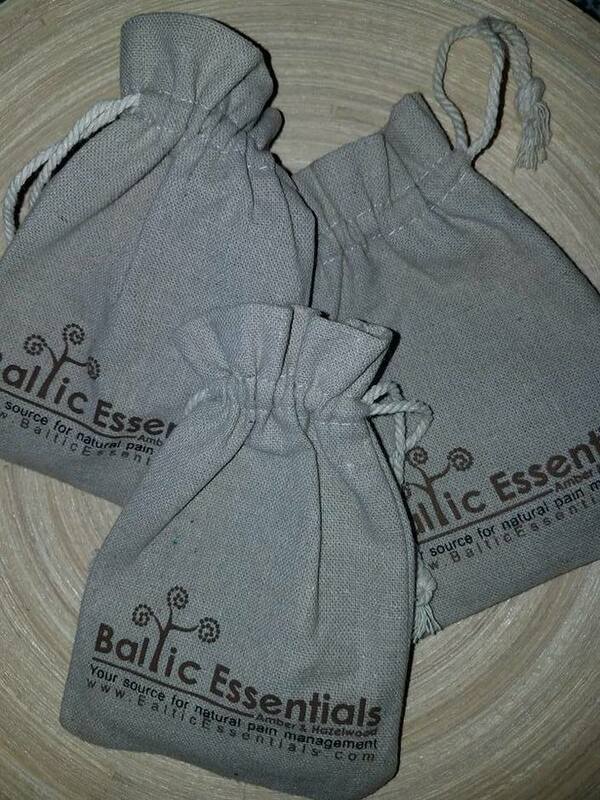 Each piece that you order from Baltic Essentials comes in its own cute little cloth bag with a drawstring! When you’re a busy mom, everyday life can feel like a sport. You’re running to the next meeting, chasing after the kids or completing a tough workout. By the end of it all, your aching muscles are screaming, and it’s tough to find the energy to do it all again. 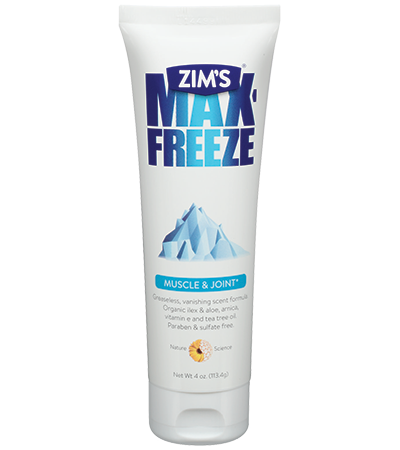 Instead of suffering in soreness, try Zim’s Max-Freeze Gel to help relieve your pain. Zim’s Max-Freeze provides a fast-acting, cooling effect when you need it most, especially after pushing yourself to the limit. It contains the organic ingredients aloe vera, arnica and ilex, along with vitamin E and tea tree oil. It does not contain parabens, sulfates or coloring, and it is not tested on animals. Use Zim’s Max-Freeze on sore muscles and muscle sprains, back, shoulder and neck pain, painful knee, hip, and elbow joints, and muscle strains. Life has been so very busy for me lately! 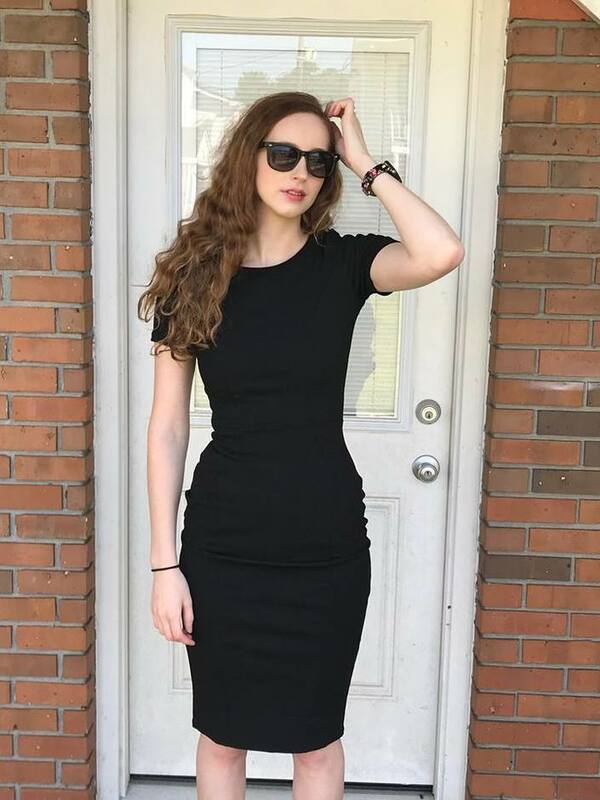 My daughter got married last weekend and I was going, going, going in preparation for the wedding as well as the reception, so my body was hurting. Thankfully, I had a tube of Zim's Max-Freeze Gel on hand. I had my husband rub it onto my lower back before I went to bed, and it literally saved me! No more pain, no need for pain medicine. For more information go to: www.ZimsUSA.com. This bitter cold winter weather is definitely taking its toll on my skin. This is the coldest winter I have experienced in years! My skin is getting dry, chapped and sore. (Especially my hands and my face.) I can't rely on my normal moisturizers to protect and heal my skin, so I reach for my Zim’s Max Crack Creme. I am so thankful that I discovered it! Originally developed over 60 years ago to treat cement workers cracked, dry hands and feet, Zim’s Max Crack Creme is a naturally based herbal formula perfect for softening and moisturizing your rough skin and tough patches on your elbows and feet. Paired with an affordable price, this is one cold weather item you won’t want to be without! Simply massage a small amount of Zim’s Crack Creme where needed a few times a day and you’ll be well on your way to softer, smoother skin. Due to the extremely frigid temperatures we have been experiencing since mid-December, my otherwise healthy skin became rough, dry and very sore. I had developed red, raw dry marks on my face that looked awful. The cold wind really chapped my face. I tried my regular daytime moisturizer and even petroleum jelly, to no avail. The petroleum jelly made me break out and my daily /nightly moisturizers actually stung the affected areas which needed healing. Thankfully, I had Zim's Original liquid Crack Cream on hand and decided to apply a bit of the liquid formula to my face right before bed. To my utter amazement, my red dry marks looked much better when I awoke the next morning. Now I apply it before I attempt an outing in this winter wonderland. 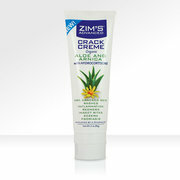 As for my rough, grizzly looking hands, I apply my Zim's Crack Cream and keep applying it throughout the day. It has restored life back into my red, scaly hands. Both formulas smell nice, too. Zim's Crack Creme formulas have been my saving grace during these chilly days in Estacada. Nothing works better for my skin to help it heal and look amazing quickly. Perfecta Products, Inc. announced the rebranding of its popular Zim's product line to Zims Max (http://www.zimsusa.com). With the launch, the company unveiled a new logo and package design. The bold new packaging is a move to better position the Zims Max product line under a single identity. It clearly connects all Zims Max products, new and old, through a cohesive visual presentation. The new Zims Max identity reinforces the companys product development approach of starting with natures best ingredients and making them perform better through science. With the rebrand, Zims Max also introduces the selling line, Natures Best, Made Better; accompanied by a new brand mark. The brand promise illustrates that the best topicals balance natures most effective ingredients with the latest science. 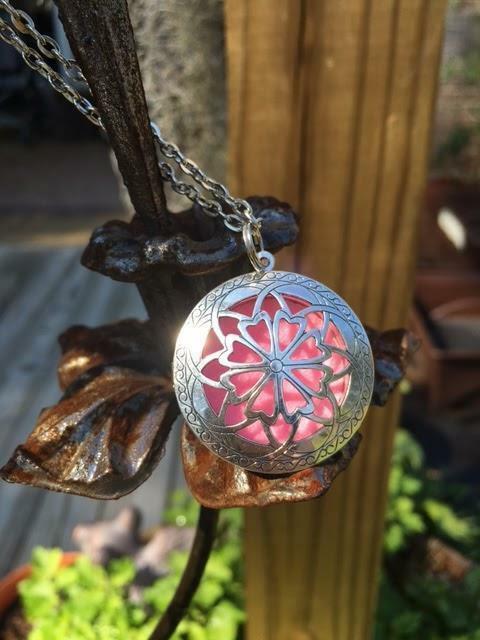 The new mark features an interconnected design with an arnica flower representing nature on the left and molecules symbolic of science, on the right. Distributed by Perfecta Products, the new Zims Max launch is slated to hit the shelves of major food, drug and mass retailers nationwide starting this summer. Zims Max will continue to offer a dynamic line of over-the-counter products, from temporary pain relief to skin and lip care; expanding consumers options for quality topical products. My thoughts: I have come to really appreciate and to love Zim's products! Zim's Max-Freeze is the number one product used in my household for muscle aches and pains. 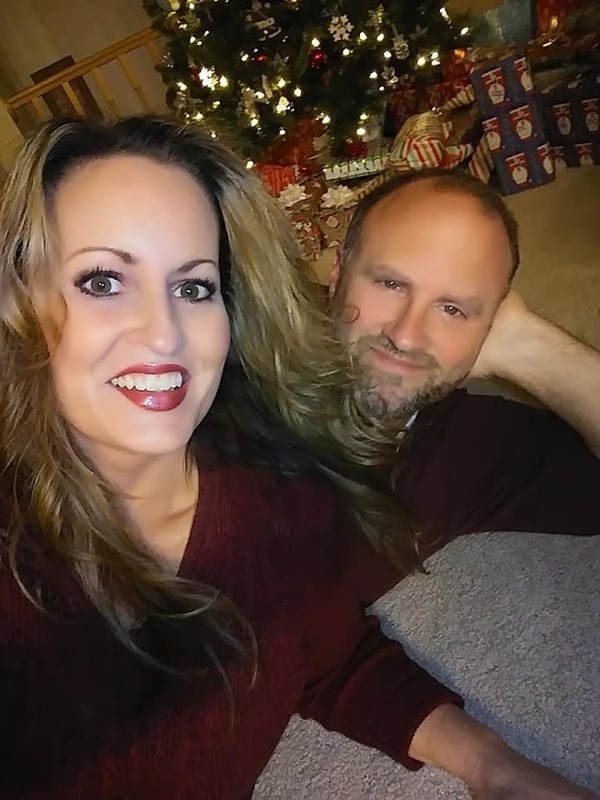 My husband has a torn rotary cuff in his shoulder and he has me apply Zim's Max Freeze formulas (roll-on as well as cream) on his shoulder at night, which truly soothes his pain away. 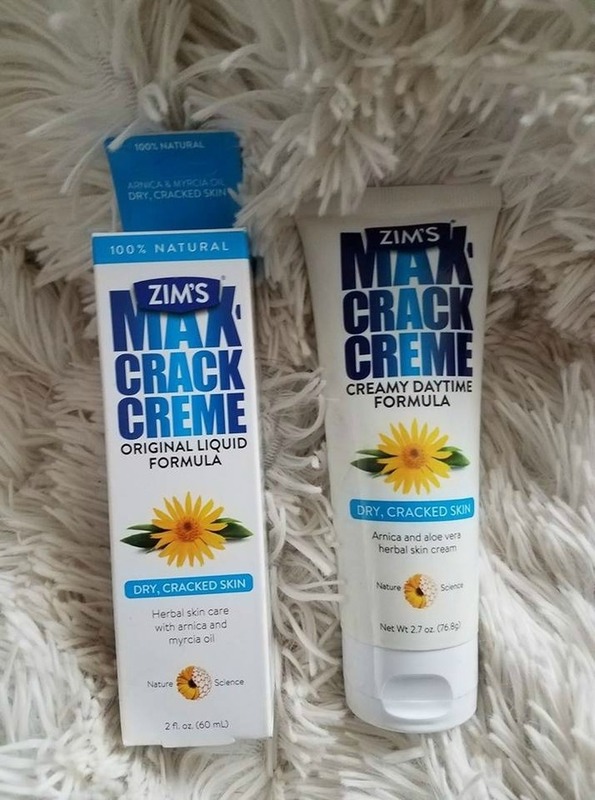 My favorite product from Zims Max is their amazing Max Crack Creme. It is unbeleivable. I use it on bug bites, sunburns and on my eyelids when I have an allergic reaction to eyeshadow. My daughter uses it to heal dry patches on her face that no other cream could heal. All of the current Zims products will be available under the Zims Max brand, including the popular Zims Max-Freeze. The new packaging can be viewed and purchased on the companys website,http://www.zimsusa.com. Win! 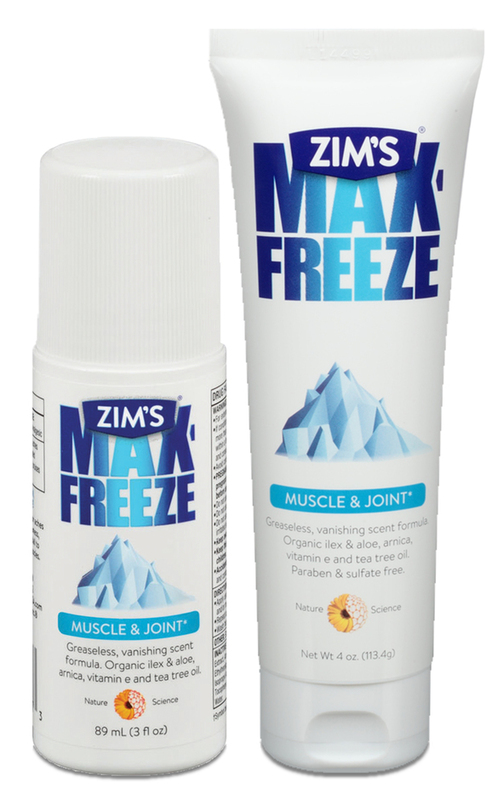 One winner will receive their choice of Zim's Max-Freeze Roll-On or Gel pain relief formula. To learn more about Zims Max, visit http://www.zimsusa.com or follow the company on Facebook (http://www.facebook.com/zimsusa) or Twitter (http://www.twitter.com/zimsusa). Based in North Lima, Ohio, Zims Max is a dynamic line of naturally-based consumer products distributed by Perfecta Products, Inc. The Zims Max product line features different over-the-counter solutions, formulated with naturally-based herbal ingredients for pain relief, skin care, lip care, elder care and first aid. Zims Max was founded over 60 years ago to help cement workers with their dry, cracked hands and feet with its flagship product, Zims Crack Creme. Today, Zims Max products can be found in nearly every major retailer in North America. Push aside over-the-counter analgesic pills, a healthier solution for pain management awaits with topical analgesic products in the form of creams, gels, sprays and patches. The American Academy of Pain Medicine reports that “ pain affects more Americans than diabetes, heart disease and cancer combined” which is costing the nation at least $558 billion a year in medical bills, sick days and lost productivity. Topical analgesic pain relief – as found in patches, creams, gels and sprays – is gaining greater market recognition. New Salonpas(R) DEEP Relieving Gel is designed to penetrate deep to relieve the toughest muscle and joint pain, Salonpas(R) DEEP Relieving Gel is an easy-to-use topical analgesic that starts to delivers pain relief in seconds. Win! One winner will receive $100 worth of Salonpas products. Products will include: Salonpas® Pain Relief Patch, Salonpas® Arthritis Pain Patch, Salonpas® DEEP Relieving Gel, Salonpas® Jet Spray and Salonpas® Pain Relieving Gel-Patch Hot and Salonpas® Original! Salonpas products are available at leading retailers nationwide. DIsclaimer: I will be receiving products in exchange for this post. Sometimes life can give you your share of aches and pains, and they are no barrel of laughs! You don't always need to be reaching for pain pills. The Swivel Cushion offers all of the benefits of a ring cushion with the convenience of a swivel cushion. 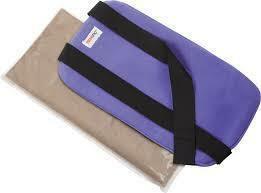 Its ergonomic design helps to reduce pressure on the spine and tailbone. 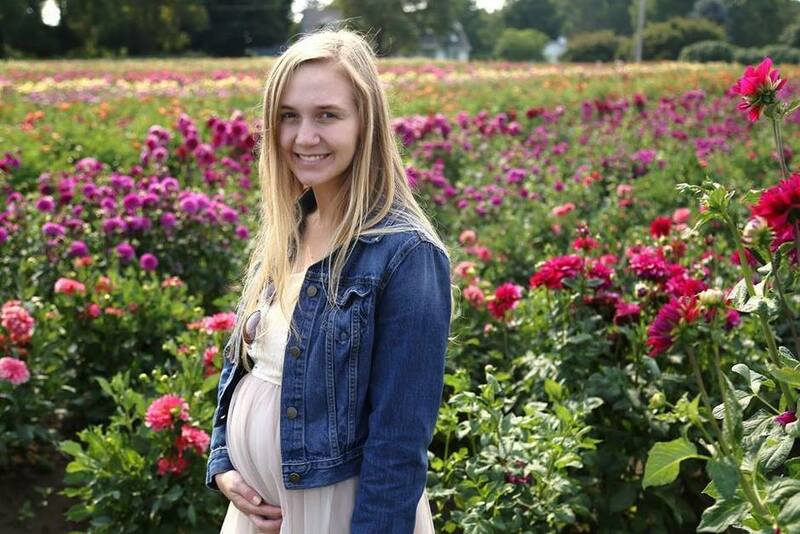 It is ideal for women who are pregnant, new mothers, or anyone recovering from surgery. It can also be used by people with limited mobility while entering and exiting a vehicle. My Experience: I am always sitting at my computer desk, working on my blog, of course. This cushion swivels as I move, and really protects and soothes my tailbone which gets really sore and tired from sitting for long periods of time. The Hot Cold Pain Relief Wrap uses a flexible clay based compound that absorbs hot & cold temperatures, then slowly releases hot or cold therapy over an extended period of time. The soft fleece sleeve with Velcro® strap creates a secure fit. It comes in several sizes to adjust to the area you need to treat. It conforms to all parts of the body including the back, knees, ankles and elbows. The clay-based properties of Theramics enable you to easily mold the ThermiPaq pad to any affected area for better pain relief. My Experience: My husband often comes home from work very sore, especially his back and shoulders. The Hot Cold Pain Relief Wrap is perfect for him. We heat it in the microwave and lay it across his sore shoulders as he lays in bed. 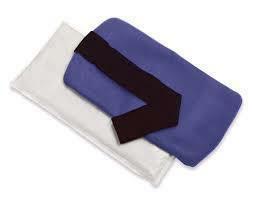 The heat penetrates quickly for soothing relief. I have even used it on my belly to help soothe menstrual cramps. It really works! 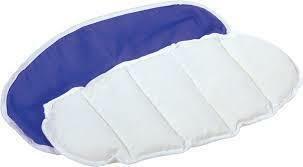 The Moist Heat Back Wrap uses ceramic beads to provide deep penetrating moist heat therapy that transfers heat slowly over an extended period of time to provide relief from sore muscles, spasms, aches and other back pain. The ceramic beads are designed to absorb moisture from the air and then release it into the cloth pad when heated in the microwave. This natural hydration process creates a clean, comforting moist heat without the inconvenience of wetting or soaking the pad. My Experience: My dad, who is 75 years old is a very hard working man who never slows down, except when he pulls muscles in his back, which he recently did while doing yard work. (Poor guy.) He also would never even dream of touching pain pills, and so he was very happy to have this wonderful Moist Heat Back Wrap on hand. It really worked to soothe his pain. He was back on his feet rather quickly. My Experience: I strained my knee while doing lunges last week. This Icy Cold Pain Relief Wrap was perfect for bringing down the swelling and soothing my pain. I had kept in in the freezer and it was nice and cold when I needed it. It was so much better than an ice pack because it cooled my leg slowly, and did not make me feel discomfort from the coldness. Bed Buddy at home products are fragranced with essential oils and natural herbs to help you relax sore joints, restore tired muscles and revitalize your senses. Simply microwave for soothing moist heat to relieve sore muscles and aching joints caused by arthritis. Place in the freezer for a cooling compress. The Comfort Wrap remains flexible when frozen. Contains real lavender to help you relax. My Experience: Sometimes when I am stressed out, my neck and shoulders tense up and I have a hard time relaxing. I decided to try out my Comfort Wrap one night when I was feeling especially anxious and just could not settle. I placed it in the microwave and wrapped it across my neck as I watched TV before bed. Before I knew it, all my tension was melted away and I felt so relaxed and comfortable from the warmth and the comforting scent of lavender & rose. Bed Buddy at home products are fragranced with essential oils and natural herbs to help you relax sore joints, restore tired muscles and revitalize your senses. Simply microwave for soothing moist heat or chill for a cooling compress. Bed Buddy Foot Warmers can be heated to reduce pain and tension caused by arthritis or to simply warm up on cold nights. Use cold to reduce swollen feet. The Foot Warmers contain real lavender to help you relax. My Experience: My shoes may look cute, but they certainly make my feet sore and I cannot wait to get out of them when I get home. I also suffer from cold feet syndrome (if there is such a thing.) My feet are always freezing! 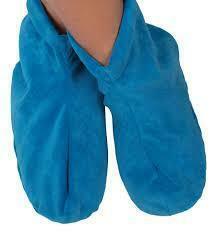 I absolutely love to kick off my shoes and put on my luxurious Bed Buddy Foot Warmers. They are amazing. My feet feel absolutely pampered and this helps me to relax, especially with the soothing Lavender & Mint fragrance. I love them! Perfecta Products, Inc™ the Arnica experts, are unveiling new product lines - Zim's® Advanced and Zim's® Arnica Max. The Zim's® line offers a number of different over-the-counter solutions for pain relief, skin and lip care. The Zim's product line aims to expand consumers' options for quality topical products. Zim's Advanced with Hydrocortisone is the latest in naturally-based first aid products that help with a host of skin care issues including rashes, insect bites, eczema and psoriasis. 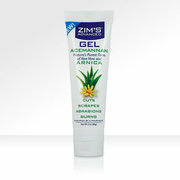 The Zim's Advanced Gel with Acemannan can help treat cuts, scrapes, abrasions and burns. In addition to Zim's Advanced, Perfecta Products will also release Zim's Arnica Max. 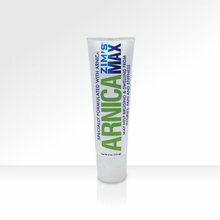 Zim's Arnica Max includes a proprietary blend of Arnica and Aloe Vera which includes organic Aloe, natural Menthol and Arnica. Arnica is one of the most popular homeopathic medicines and used by many athletes and weekend warriors worldwide. "We felt it was important to bring out a new product specially formulated using maximum arnica to provide temporary relief of minor aches and pains of muscle and joints associated with simple backache, arthritis, strains, bruises and sprains.'' said Perfecta Products, Inc. Director of Marketing & Sales Mark Smith. "We are not just about cracked skin anymore,'' said Mark Smith. "Our new Zim's Advanced items are designed to meet consumers' request for more natural-based products. We have combined science and nature to create superior products. Perfecta Products has been a leader in the use of arnica and other natural products in the topical analgesics category. We have been using it in our products for more than 60 years," said Smith. Zim's sent me samples of Zim's Advanced and Zim's Arnica Max to review. I received tubes of Zim's Advanced with Hydrocortisone, Zim's Advanced Gel with Acemannan, and Zim's Arnica Max. My Experience: I have psoriasis on the back of my scalp that has really been acting up lately due to the cooler Fall weather. I have never before discovered a product that helps to relieve my symptoms the way Zim's Advanced has helped. I just apply it to the affected areas (thankfully mine is on the back of my scalp.) The itching, scaly skin has been completely soothed and has not been itchy or flaky at all since I have been using this product. It is wonderful! My Experience: This product has really come in handy lately! My little boy was riding his bicycle and crashed onto the pavement. Poor little guy received some serious roadburn to his arm. I immediately applied some of this soothing gel to his affected area. It quickly helped to soothe the sting, and definitely helped to heal it faster. My Experience: My husband works very hard lifting heavy equipment all day long. He often has a sore back at the end of his day. He has always enjoyed a back massage, but this time I thought I would use Zim's Arnica Max gel all over his tired muscles. My husband reports that this gel not only felt amazing as it was being applied, it also actually soothed away his aches and pains. He was able to rest better that night. It lasted all night long. To learn more about the Zim's product line and Perfecta Products Inc., visit http://www.zimsusa.com.